Running in "delayed" mode .. So, I started the program on Day1 in full-steam. Towards the end of Week 1 got knocked out "cold" (literally!) with a very bad throat and fever. That took a week away. Had a word with Ward, and decided to run this in a delayed mode, so I am a week behind everyone else. Why? - because I had already signed up for a Half marathon race in the beaitiful city of Qingdao. So, I am going to take it slow and ramp-up and hopefully not urn into an injury in all my excitement! 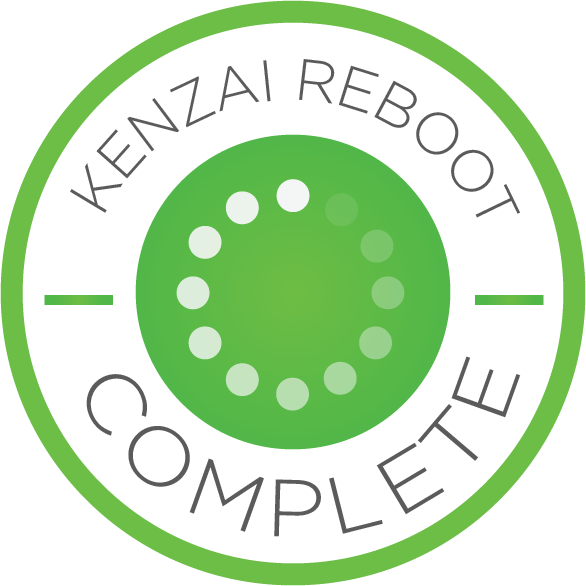 Finally completed another Kenzai program. I had a bout of food poisoning at the end of week 3, which got me out of action for a couple of days. But overall, met my goal for the program. Got back to clean eating, and basic workouts which have started to show results! 18 down, 10 to go ..
What I'm really liking about this, is that after months (specifically 3 months) of literaly uncontrolled diet (thanks to holidays, wedding festivities in India), and hibernation (too cold to run or workout outside), this is getting me back into shape. Couldn't avoid checking the scales, and I am 2-3 KGs down over the last 3 weeks ..
Reboot Rocks! .. And I'm starting to get into the zone now for more active, full-fledged training program. Got "Chisel" on my mind! ;) .. and badly need it as well! Day 10/28 - Feeling good! A third of the program is down, which means my body's gotten used to clean eating - 80% of living healthy. also doing well on the remaining 20%. Completing the workouts - although not 100% compliance. My leg muscles are giving in on the 16 min jumpropes, with like 2-3 min to go. So, I can do better there. 2016 - Introduced to Kenzai, completed KB1. 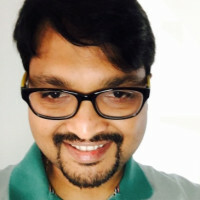 Lost 12 Kgs, learnt a new way of life. 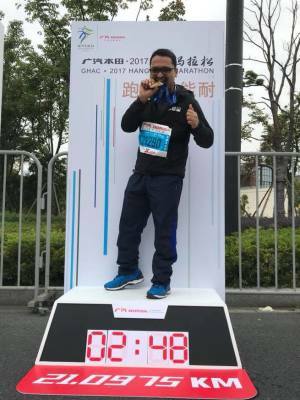 2017 - Continued my Kenzai journey, completed my FIRST HALF MARATHON! 2018 - "Break from Kenzai" - "Life" came in the way, literally. :) .. We had a baby, and things got a little to hectic across home and work! 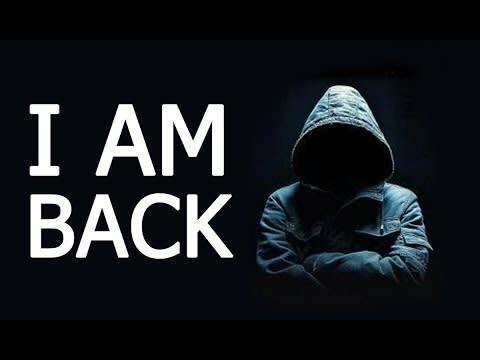 2019 - I am BACK! .. Starting with Reboot, then plan is to then do Chisel, and then start RUNNING again as the Summer sets in! To more fun, fitness and clean eating together! For someone who could run for barely 2-3 min at a stretch, before taking a walk break, I've come a long way. THANKS A TON (Can't think Kenzai enough) for helping me go from 5K-levels to HM-levels over a 16-week period. This has been an incredible journey. I would like to specially mention Ed Centre - my trainer for the Kenzai Run course, and then my co-participant for the Kenzay Run Half course. He has been an incredible source of support on the blogs, messages and being an amazing runner himself, he has known how to get me "up to speed", so to speak. I believe I have discovered the joy of running, and completing my first half in around 2:50 has been something I can feel great about. To more runs, and better fitness. Thanks a lot everyone! Loved the last 6 weeks with Team Moraine. Though I couldn't be right up to the program, I've been following everyone's updates. The good news is that my cold is behind me now, and I have steadily been upping my weekly mileague since the 2-week hiatus from running. I am running (pun intended!) 2 weeks behind everyone else, and so I am scheduled to run the 21K on November 5th. 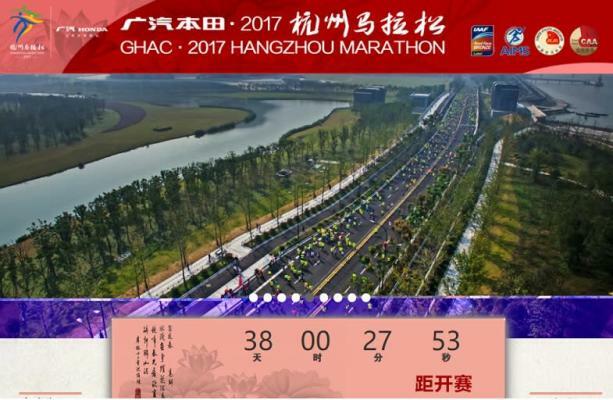 Which, incidentally, also happens to be an organized Half Marathon at Hangzhou, one of China's most beautiful cities. Need to steady up on the diet, and work on my training for the last mile, these 10 days. Thanks a lot to Matt for being a patient trainer, and hearing out my issues, and providing solutions. And BIG Congratulations to Team Moraine! Shin splits, cold, Mongolia trip, cold .. Finally, I'm back to running as I know it (or, as I'm starting to know it). Love seeing the progress of Team Moraine! Let's hit the home stretch! Because running shouldn't stop. Even when you're in Mongolian Grasslands at -4C temperature. And who would complain if the sky is blue, and the grass is green? .. Loved it! 3. 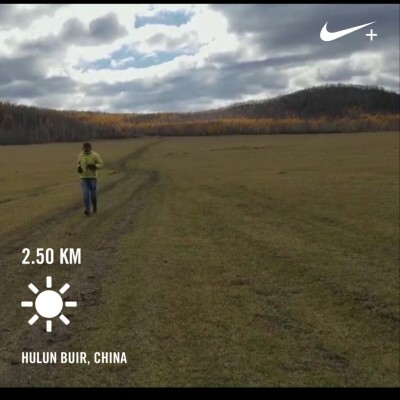 We have National Holidays coming up in China (from October 1-6), and my wife and I have planned a short vacation to Inner Mongolia - on the Russia border, which is supposed to be much colder. And given my revent viral fever, I don't want to run there (although I was originally planning to). Thanks to these 3 reasons, I'm behind by 2 weeks on my training schedule - which, for a short 6-week course can be a lot to catch-up on. So, the solution Matt and I discussed is that I will run 2 weeks behind schedule, and follow the schedule, workouts, and diet diligently with everyone else. Just that it will be 2 weeks behind. To keep myself I can put this setback behind me and still stay motivated, I've signed up for an amazing Half Race - the Hangzhou Marathon, which happens in one of China's most beautiful cities. Race Day is November 5th, and it coincided perfectly with a 2-week delayed schedule of this course. I am a mild over-pronator on my right foot. so I recently changed my shoe, and got a support shoe. Yesterday was Day 1 with the new shoe, and I ended up running 7 km, and a man treadmill (and I've been running on the road for the last couple of months). Probably as a result of all these sudden "new variables" I have shin pain only right foot. I went for the run this morning, and didn't want to run more than 2 km. So I couldn't do the Time Trial today. Will take a break on Friday. Trainers - Wondering if I can take the Time Trial on Saturday? And then the 14K Distance Run on Sunday, as scheduled? Good week 1, Glad the Diet is kicking in .. I'm usually disciplined with my workouts. But tend to be a slacker when it comes to the diet. So week 1 of Kenzai programs tend to be a mix of "cleaning up" and "enjoying the last bits of joy" before diets kick in. So I'm glad, it's kicking in tomorrow .. I've been 100% compliant on the workouts so far. In fact, have also squeezed in a couple of 3 min Plank workouts over the week, since I've been reading that a stronger core helps make running faster and more efficient. 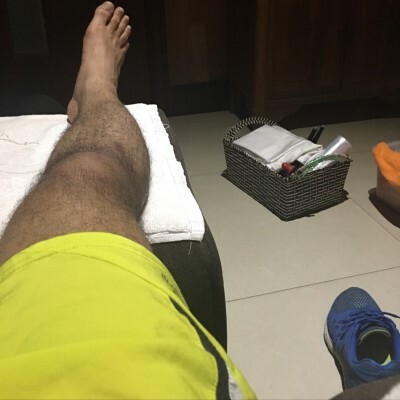 Oh, and after 4-5 weeks of 25-30km average weekly running, I decided to get myself a little Chinese foot massage session. One of the perks of living in China. Foot massages are relaxing, reasonably priced and good quality ones are easily available. I've never been much of a runner. Until the Kenzai Run 10K turned me into a little bit of a runner. I completed 10K just about 3 weeks ago. And since I started the program, I've been hooked to running. Let's rock and roll (and run!) together! (noun). the action of admitting someone into a secret or obscure society or group, typically with a ritual. 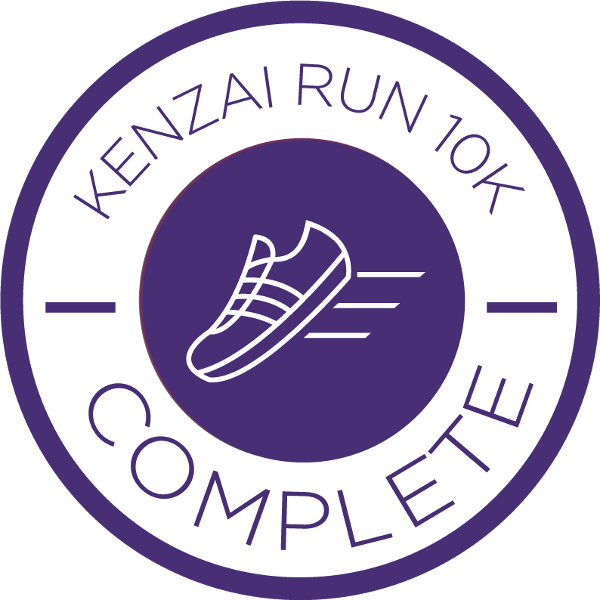 In ways more than one, this Kenzai Run 10K course has been an initiation for me into the world of running. I always had a "phobia" of running continuously more than 2 min. I think it was phobia, combined with being overweight. And today, I am able to comfortably run upto 15-min without walking at a stretch, and completing a cool 12.5K kind of a distance on a weekend. I know my speed is nothing great, but for someone who felt he "is not cut out for running", this is still a bit of an acheivement. This journey of the Kenzai Run 10K wouldn't have been possible without the support of our trainers Ward and Ed C. Thank you both for being a constant source of encouragement, and making this short 6-week program engaging. And of course, our Guru - Patrick Reynolds for creating this amazing program, with a focus on initiating running newbies like me into running. Also, it was great to read blogs, as usual, in addition to posting my own thoughts and sharing them with the team. 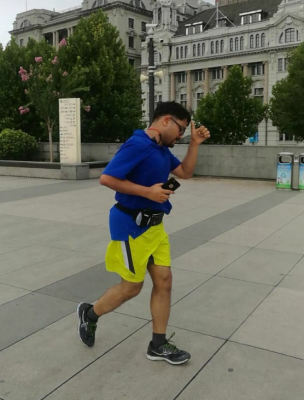 In particular, I'd like to give a shout-out to Janet L. for her grit, consistency, and super-inspiring blogs; and Rahul G. - it is inspirng for beginners like me to see the performance and hear stories of champion runners like you! So, what next? 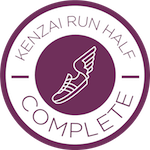 - I am going to take up the Kenzai Run Half course starting September 11. This should setup me up for completing a Half Marathon distance around the end of October / early November. 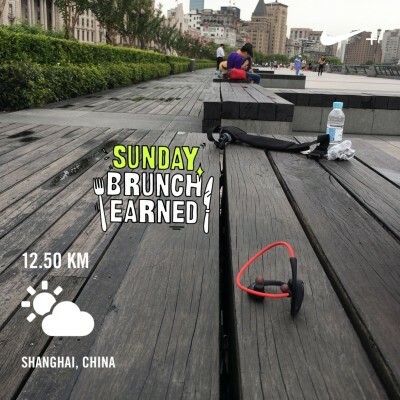 Weather-wise - this will be the perfect time to do this in Shanghai! Thanks everyone, and kudos to Team Tiber, who have rocked this program! 12.5K done, eyes on 21K, and some questions..? So, this last run I decided to stop at 12.5K. My legs were sluggish last 2 kms. Decided not to push too hard. I want to prep for a Half within 2-3 months. There are race events in October-November. Wondering how to go about training? Should I focus on speed or distance? So, for the Half, how should I split my training between speed and distance? - My goal is to obviously finish the Half, and anything in the 7-minute-something as average speed will make my happy for now.